Just in time for Easter – or any day really – I found the Bun fabric from the fine folks at Lake August. 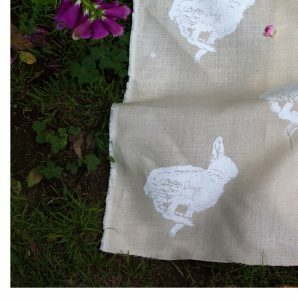 The simple block print rabbit is presented on fine Belgian linen and it would be great as curtains, napkins or anything you can use a fine textile for. Find the Bun Textile from Lake August here. See all the fine textiles and wallpapers from Lake August here. 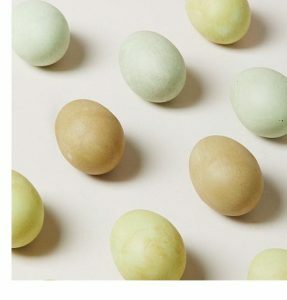 I love these Decorative Artisan Eggs I found from the fine folks at Vermont’s Farmhouse Pottery. These hand-painted gems are not just for Easter – they make a nice accent for your home year-round. Of course, as you can tell by their name, Farmhouse Pottery offers more than decorative eggs, they are in the pottery business and they are awesome. Find the Decorative Artisan Eggs from Farmhouse Pottery here. Learn more about Farmhouse Pottery here. Lost Cowboy is powered by	WordPress 5.0.4 and delivered to you in 0.799 seconds using 42 queries.